DinoPC has prepared a range of spectacular deals this Black Friday on PCs and accessories to give you the best system full of latest technology at unprecedented value. Whether you're in the market for a brand new system which delivers smooth gameplay and the fastest frame rates, or an upgrade to give your current system a new lease of life, Dino PC is here to make sure you take advantage of the best deals and promotions. For those seeking the perfect system that's great for entry-level PC gaming, we have selected the very best gaming PC in terms of value for money, and price for performance. Providing an experience that's truly great for Full HD gaming in the latest blockbuster games, the Primal Light gaming system will no include a vast foray of additional items that's been tailor-picked in order to provide plug and play experience, with everything you need to get started. We have included a 24" AOC 1080p gaming display, along with a Game Max Raptor peripheral bundle. 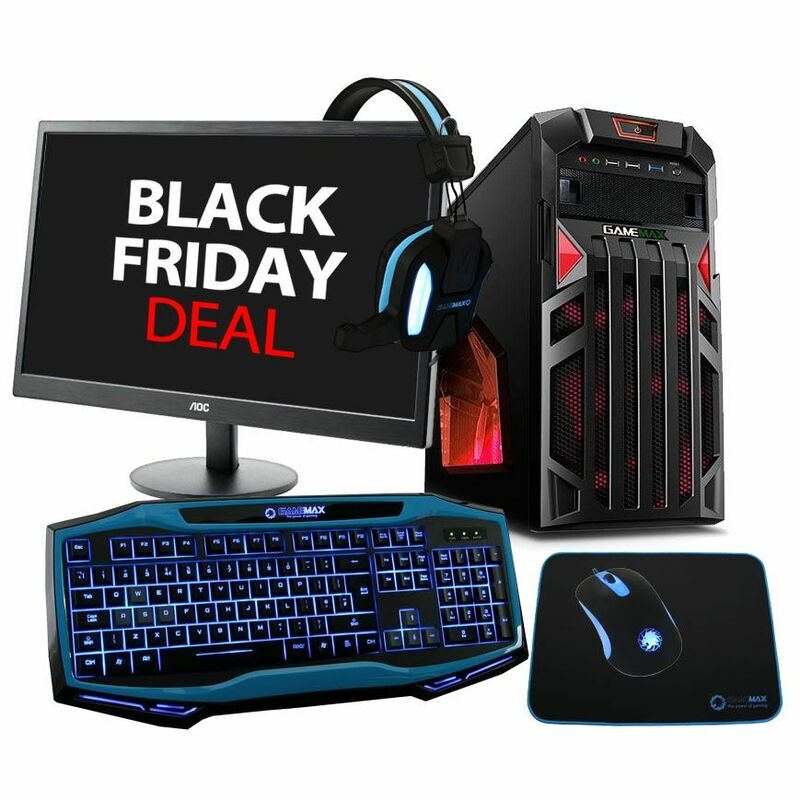 This kit includes a LED backlit keyboard and mouse, along with a mouse mat and headset. This package is perfect for those looking to game online with a matching system that's stylish in all forms. In terms of the system's specification, the Primal Light features an Intel Core i3 processor for excellent clock speed performance. This is paired with a Nvidia GeForce GTX 1050Ti graphics cards, which does well to excel past the performance offered by the latest game consoles - all the while delivering the flexibility of a fully-fledged computer. This is backed up 8GB of the super-fast DDR4 RAM and a 1TB hard drive for storing games and media. Available for £659 the Primal Super Package includes a 5 year warranty as to provide all our consumers with ease of mind and comfort when purchasing what may very well be their first gaming PC. Get ready to enjoy some ultra realistic game-play, to fully immerse in the action without a drop in framerates when the combat really heats up! 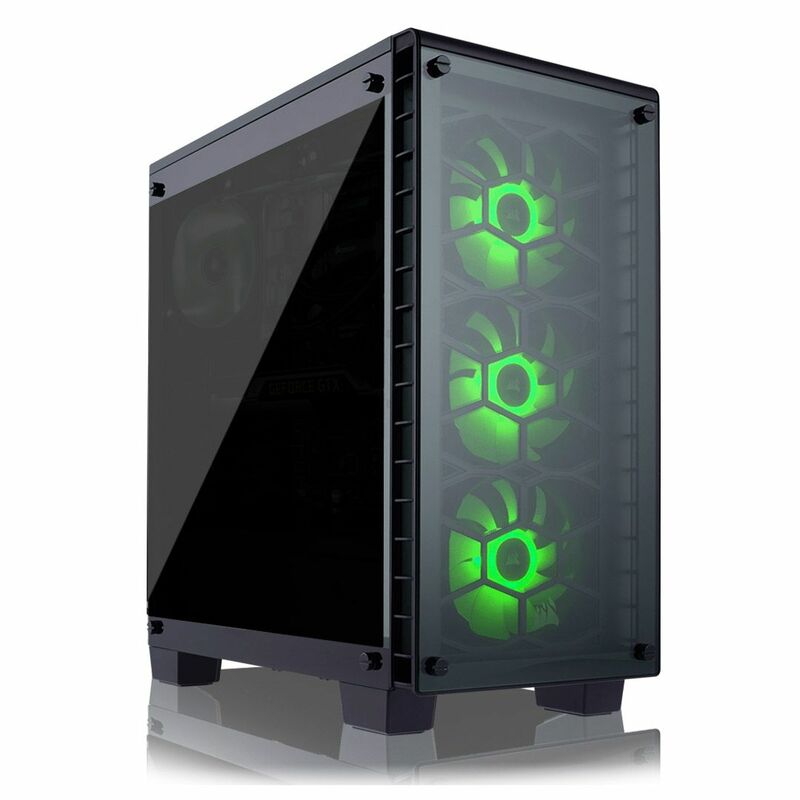 Available with £65 off the standard price the Primal GT3 takes full advantage of the powerful Intel Core i3-7350K processor, pushing clockspeeds to incredible heights at 4.2GHz. This is enhanced by 8GB of DDR4 RAM and a lightning-fast Samsung 250GB SSD, meaning boot times and application loading is achieved with an instant. As a system that's been thoroughly designed to improve the quality of games at higher resolution such as 1440p and 4K, the Nvidia GeForce GTX 1060 graphics card features 6GB of RAM for incredibly rich detail settings and frame rates in the latest games. For those who enjoy titles such as Assassin's Creed: Origins, Players Unknown Battlegrounds, Call of Duty:WWII, and Star Wars Battlefront II, the Primal GT3 is the perfect system. 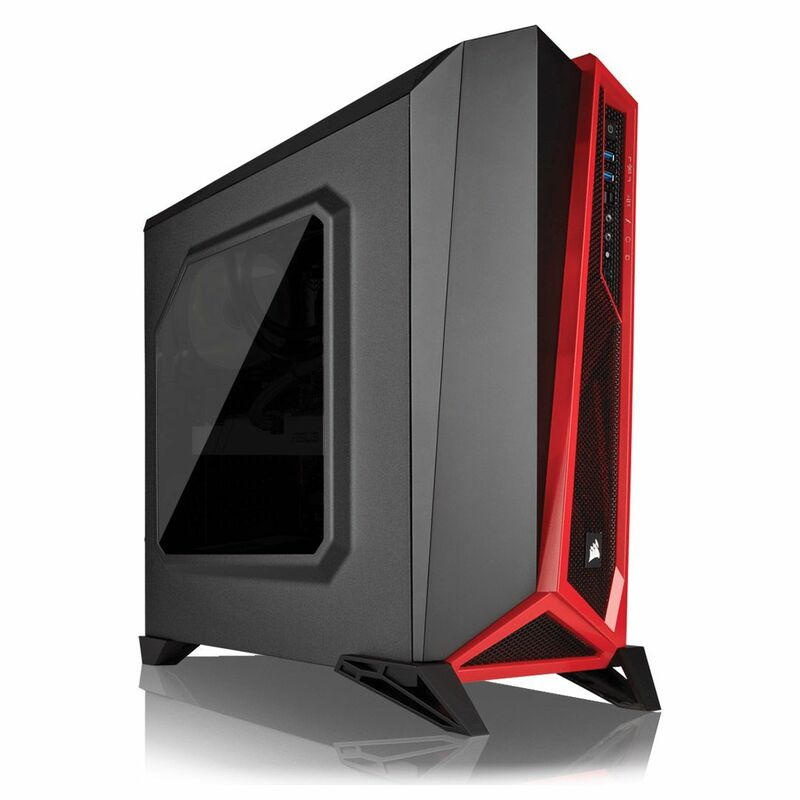 This gaming PC is styled within a menacing Corsair Carbide SPEC-APLHA chassis, with a silent Be Quiet! CPU cooler for a gaming experience that quiet and cool. This system will be available for £934 with a standard 5 year warranty. Component choices and PC specifications can be a very time consuming and tedious task for those who are not too well informed on technology and configurations. While the many aspects of building a PC and upgrading your existing system can be an enjoyable activity for those well-versed in the hardware, we understand that some of our consumers simply want the most impressive and highest performing system that's available to buy - prebuilt and ready to go. Designed specifically for the enthusiast user who desires the absolute best in gaming performance with the latest and greatest hardware that's currently available, the Primal X2 has been built to deliver the goods. Touting a spectacular finish in a tempered glass chassis, every aspect of the system has been built to present a visual flare that's undeniably eye-catching. Packing an immensely fast Intel Core i7 class processor which takes processing performance to new heights of power thanks to the finely-tuned overclock, this CPU receives a highly stable liquid cooling unit for stability and low-noise operation. This further enriched by the configuration of 16GB DDR4 RAM - matching the aesthetic appeal of the chassis with RGB lighting effects. Paired with a fantastic configuration of storage, the Primal X2 contains a 250GB Samsung M.2 SSD and a 1TB hard drive. Promising nothing but the very best in enthusiast class graphics, the system utilizes a Nvidia GeForce GTX 1080 graphics card - perfect for stunning visuals and top-class performance, with nothing less than the highest display resolutions being suited to such an impeccable piece of kit. *Ending November 29th all systems which feature a Nvidia GeForce GTX 1080 or 1080Ti graphics card will receive a copy of Destiny 2. Visit this page for more information: Destiny 2. Aided with a 5 year warranty the system is available with £100 off the regular price - now at £1,869. This Black Friday we have decided to go the extra length for our most loyal consumers and early adopters of PC technology. It's time to take control of your home. For the first 100 customers that place an order over £500 and choose to purchase using Amazon Pay, the Amazon Echo Dot will be included for FREE! As the ultimate companion for your home, the Amazon Echo Dot provides families with limitless control over the smart home appliances and entertainment gadgets. This means that wireless speakers and music playback devices can all be controlled simply the user's voice, with the Alexa voice service responding to your requests. 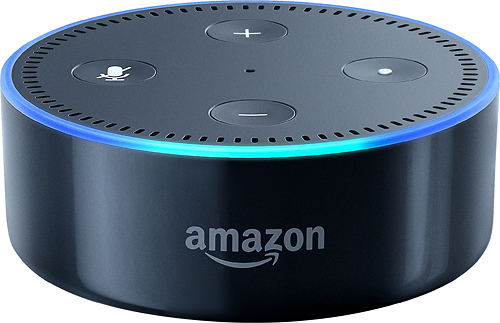 As well as being a solid replacement for portable Hi-Fi systems and alarm clocks, the Echo Dot also provides full control over in-home services and functions such as light switches, televisions, and thermostats, with continuous updates and support being provided directly from Amazon. This allows the Alexa system to learn and adapt to your lifestyle, providing you with weather updates, news, and reminders, extending to the ability of taking Uber cab requests and smart order takeaways from services such as Just Eat.